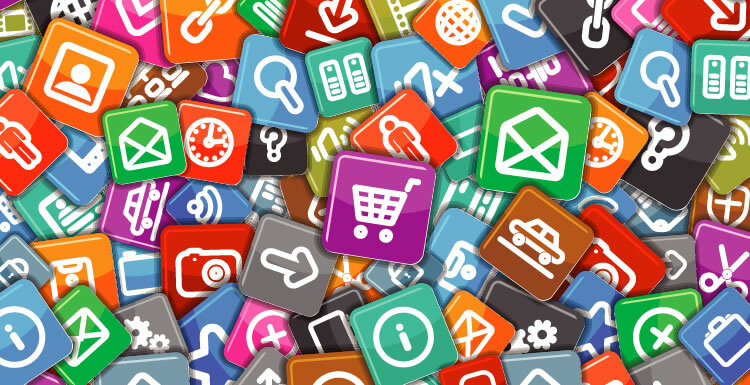 A new study from app analytics firm Distimo in partnership with China-based Wandoujia, authoritatively concludes that Asia is now the world’s top marketplace for apps, and that it's leading the charge by large margin when compared to other markets. Year over year revenue from 2012 to 2013 rose by 162% with much of that coming from Google Play. Globally, Asia picked up 41% of total global app revenue in December 2013, as compared to 31% from North America and 23% from Europe. App revenue seems to be evenly split between Google Play and the Apple App Store in Asian countries. Apple still leads in apps in North America and Europe with 75% of app revenue; Google Play takes up the other 25%. Angry Birds Go! was the most downloaded game in Asia in December 2013, followed by CarrotFantasy 2: Polar Adventure (Japanese release), and The Hardest Game in History (Japanese release). On Wandoujia, China's largest mobile app distribution platforms that is Android-based, the most downloaded app was 12306官方, a railway ticket reservation app. Asia is the market to watch for growth. According to another report from PortioResearch, while all regions are expected to see growth in their app markets, in some regions that growth will be more accelerated. For example, in North America, already a more advanced market, growth will be more moderate, at a lower rate of 17.7 percent. Other regions will grow faster, but none as fast as the Asia Pacific region. The total number of apps users in Asia is expected to grow at a rapid 39.8 percent from end-2012 to end-2017. By the end of 2017, the number of apps users in the region is expected to cross the 2 billion mark to reach 2,039 million. China’s Android ecosystem is decidedly different from the rest of the world. Only 3.5 percent of devices in China have Google Play services installed, which is required in order to run Google Play and other Google apps. Wandoujia is a mobile content search engine for Android, where the largest content vertical is apps, so much of the content in this latest report comes from that data. Beacon Mountain: Beacon Mountain provides a complete set of design, coding, and debugging tools for native apps targeting Android-based ARM and Intel Atom processor-based devices. Intel XDK Cross-Platform Development Kit: Use the power of HTML5 and Intel's cross-platform tools to write your app once and distribute it broadly. With the Intel® XDK, you really can “write once, deploy too many.” Build for iOS and Android, tablets and phones, then deploy to the Google Play Store, Amazon App Store, and more. Intel® C++ Compiler for Android* OS: For Android app developers using the Android* NDK , Intel C++ can deliver a performance edge. It’s compatible with GNU C++ and tools in the NDK. Improve application fluidity and responsiveness, enhance battery life. Project Anarchy: Project Anarchy is a free mobile game engine for iOS, Android (including X-86), and Tizen. It includes Havok’s Vision Engine along with Havok Physics, Havok Animation Studio and Havok AI. According to another Distimo report, at least 90 percent of all revenue comes from in-app purchases in Hong Kong, Japan, China and South Korea. In China, apps generated 96% of revenue from in-app purchases, while Japan and South Korea had similar rates at 94% and 91%, respectively. More revenue within the Google Play store came from freemium apps with in-app purchases in 2013; from 89% to 98%. The freemium, or “free to play” monetization model, seems to be becoming overwhelmingly successful for most developers, with in-app purchases and level-up opportunities monetizing quite well. Making money with app development is obviously a strong focus for mobile developers. The rise of the freemium business model, with in-app purchases taking the place of an upfront app purchase, became the most successful monetization model for developers in both the Apple Store and Google Play. If users can understand more about the game, it greatly improves the chance that they will download it. Localization doesn’t necessarily just mean translation; developers have to figure out what makes sense with a global audience, and be sensitive to local customs and cultures that might not work with all apps and games. Opportunities continue to open for app developers, and as the Asian app ecosystem grows developers should be taking advantage of what this might mean. Motley Apps Pattern background from Shutterstock.